Are you a sock knitter? What’s your favourite method? I started knitting and designing toe-up socks last year. And once I wrapped my mind around it, I am really happy with the technique. The best part? For me definitely the cast on. I am using Judy’s Magic Cast-on. It looks so neat and I need no Kitchener stitches in the end. So, dear reader, toe-up socks? Have you already knit them? Or is it a new technique for you? Let’s do it together. My knitting buddy and kindred spirit Alice aka @brezelbutter on Instagram and I are hosting a KAL for my flowery toe-ups socks. 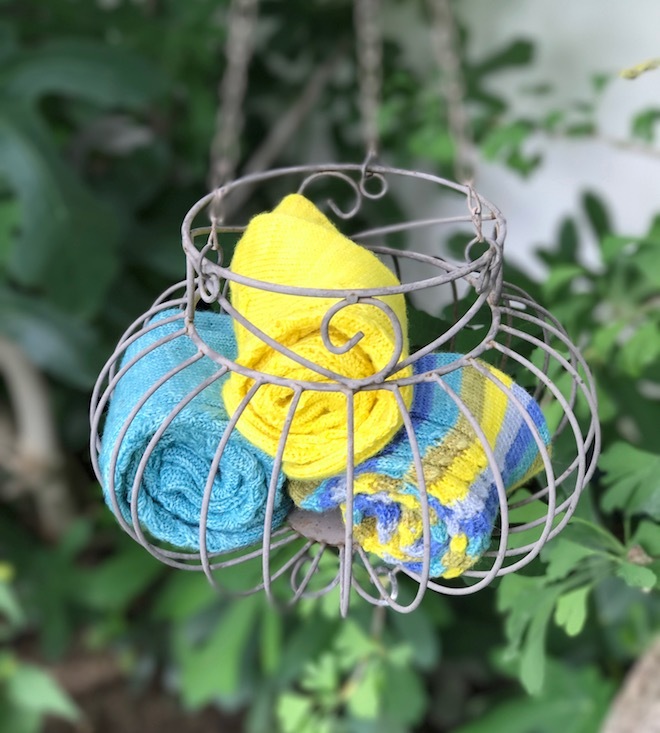 We want to keep it casual and stressfree – you will have to finish one sock until the end of May – so no pressure. We want you to have the possibility join and chat, even if you have 5 other projects on the needles ;-). Or if you are suffering from 2nd sock syndrome (we are sure, if you do, you will finish eventually). 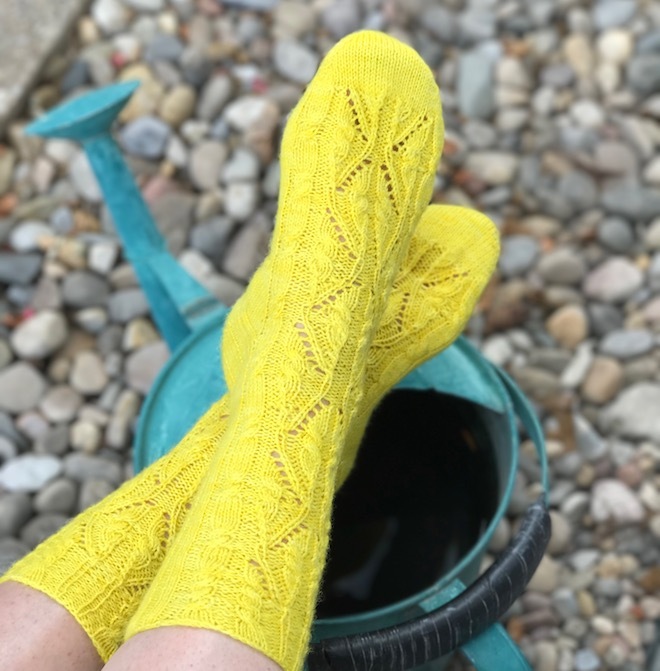 You can choose from all of my toe-up patterns, short, long, cables or lace – or both: Daffodilz, Liliez-of-the-Valley, Avokado, Walnutz, the vintage style sneaker socks Daisiez, Lilaks, or the non-flowery 😉 Memory and WildKables. There will be a chatter free FO thread, too. Alice and I will draw a winner by end of May. Are you in? Join us on Ravelry here! Or on Instagram with #FlowerySockKAL. Let’s have some fun together. German Readers: Here is Alice’s lovely and chatty blog. Previous PostEdinburgh Yarnfest 2018 : 3 questions to the women behind EYF!